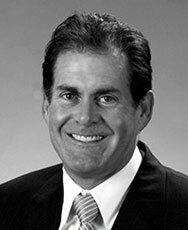 With over twenty five (25) years in commercial real estate, Terry’s prior experience includes Trammell Crow Company and Arthur Andersen. Terry co-founded Dillon Corporate Services, Inc. (“Dillon”) in 1993, a real estate consulting firm focused on tenant representation. Dillon was purchased by Avison Young in November of 2013. Terry has been involved in over 5 million square feet of transactions valued in excess of $2B as principal including Altera and/or on behalf of such clients as Deaconess Hospital, Triad Hospitals, Legacy Hospital Partners, CHS, Texas Capital Bank, and Nationstar Mortgage LLC. Terry founded Altera in 2002 and has been instrumental in its growth. Terry spearheaded Altera’s portfolio acquisition of its 550,000 sf+, seven (7) building acquisition from Tenet Hospitals in December of 2011. Terry remains integrally involved in all acquisitions and strategic initiatives. 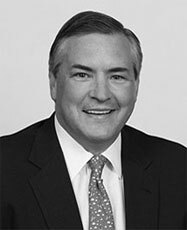 Eddie Tillman has been a leader for Altera in over 3 million square feet of portfolio acquisitions and dispositions throughout the United States. Eddie envisions each opportunity from the point of view of the buyer, seller and end user, allowing him to craft winning strategies that bring value to all parties. 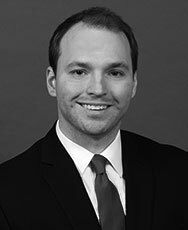 His unique insight as an expert in commercial leasing, combined with his client relationship experience, provides a strong foundation for evaluating the viability of a potential acquisition or development. This transparent, relationship based strategy is key to Eddie’s ability to analyze and underwrite opportunities and lead an effective team decision process. Head of Leasing and Management for MOB Portfolio in Excess of 700,000 s.f. 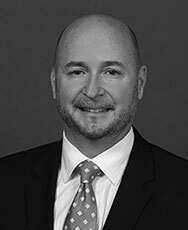 With a thirty-year track record in commercial real estate development and corporate build-to-suit, Kerry brings best-practice experience to the Altera Team from his tenure at PM Realty Group, Champion Partners, and Cabot, Cabot and Forbes and other top tier companies. Kerry embraces a focused approach to strategic development planning, implementing a tested processes, setting high standards for quality control and inspiring collaborative team environments. Kerry has been involved in over 25 million square feet of real estate development both on a national and local level spanning multifamily, healthcare, hospitality, mixed use, industrial, corporate build-to-suite and retail, managing national contractors, vendors and consultants. His clientele includes Nestle, Microsoft, Perrier, Hunt Wesson, Comp USA, Wells Real Estate Funds, Baylor, Tenet, and Universal Health Realty Income Trust. Kerry brings unique medical sector experience, partnering with both hospital systems and physicians in the expansion of their practices into new suburban markets. His expertise includes development of ambulatory surgery, radiation oncology, endoscopy, wound care, diagnostic imaging, dialysis centers, hospital renovations and free-standing emergency centers. Kerry holds a Bachelor of Science Degree in Industrial Engineering from Texas A&M University. 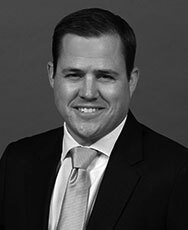 His civic and professional affiliations include serving as a member of The Real Estate Council and the Texas A&M Association of Former Students. Mike holds a Master’s Degree in American Urbanism from The University of Virginia, with a career that has spanned Chicago, Washington, D.C, London, Guadalajara, Austin and Dallas. Builds teams and creates opportunities for Corporate Office, Build-to-Suit, Hospitality and Multifamily development projects across the U.S. and Mexico. Corporate programming and strategy experience for clients including Daimler Motor Credit, Chase Bank, Northern Trust, Microsoft and Progressive Insurance. Extensive relationships with Hotel brands, operators and equity sources. Lauren joined Altera Development in June 2012, as a Corporate Accounting Coordinator. Her primary responsibilities include lease administration and corporate and property accounting. 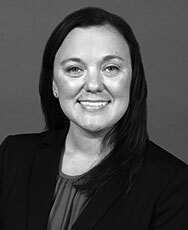 She began her real estate career in 2008 with a commercial real estate services organization as a Property Administrator and Real Estate Services Coordinator, where she was responsible for tenant relations, lease administration, office management, and accounts payables/receivables. Lauren holds a Bachelor in Business Administration, majoring in Business Management from The University of Texas at Arlington. Davidson joined Altera Development in 2014. Since joining he has been involved in all of Altera’s projects including Healthcare Office, Multifamily, Hospitality, Industrial, and Retail. As Development Manager he helps coordinate and manage the day to day activities of Altera’s projects. Davidson is dedicated to strategic development planning and construction. He is a valued member of the Altera team and he strives to continue the high standards of planning /construction and financing of developments projects. Davidson graduated from the University of Alabama in 2011 with a B.A. in General Business. He has been involved in the real estate industry since he graduated. Doug has over 25 years of experience providing accounting and financing services in various facets of the healthcare industry. Prior to joining Altera Development as Controller in 2011, he served in various financial leadership roles for Community Hospital Corporation (CHC), a not-for profit hospital management and consulting company with over $500 million in net revenues. As VP of Internal Audit, he initiated and developed the internal audit function that was rolled out to CHC’s 9 owned hospitals and leased hospitals in Texas, New Mexico, and Nevada where he coordinated audits of revenue cycle, IT security, and HIPAA compliance. Additionally at CHC, he served as CFO of a subsidiary that built and operated long-term acute care hospitals (LTACHs) from start-up to full operations with $25 million in net revenues and $5 million in net operating margin. Other experience includes co-founder of Vantage Health Strategies, a company that designed consumer-oriented, defined contribution health plans, as well as manager for the healthcare consulting group at PricewaterhouseCoopers L.L.P. 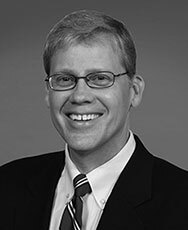 Other notable employers include Winchester Regional Health Systems, and Pfizer Inc.
Doug has a Master of Business Administration from Fuqua School of Business at Duke University as well as a Bachelor of Business Administration degree in Accounting from the University of Texas at Arlington.